Published today, the QS Global Business Schools Report 2013/14 provides an alternative to traditional MBA rankings by highlighting the value of MBA programs around the world according to the qualification’s end consumer: the MBA employer. The report is based on 4,318 responses from recruiters who actively hire MBAs, making it the largest survey of its kind. 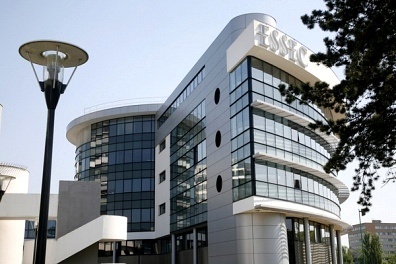 Five schools received the maximum score for employer recognition, identifying them as the leading schools in their region: Harvard and Stanford (North America), INSEAD and London Business School (Europe), and again INSEAD (Asia-Pacific). The report points to a leading cluster of 33 ‘elite global’ business schools spread across North America (18), Europe (13) and Asia-Pacific (2). The US dominates the accompanying rankings in ten MBA subject specializations: Finance; Strategy; Innovation; Leadership; Marketing; Entrepreneurship; Corporate Social Responsibility; Information Management; Operation Management and International Management. Harvard tops five of the ten subjects, with INSEAD; Kellogg; MIT Sloan; Stanford and Wharton topping the others. 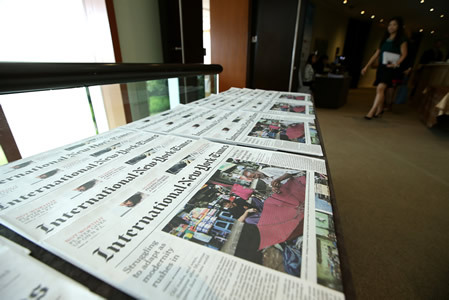 Photo: Copies of the International New York Times on display on November 20, 2013 in Singapore. The 13th annual International New York Times Luxury conference was a premier meeting point for the luxury industry. 500 delegates from 30 countries gathered in Singapore to hear from the world’s most inspirational fashion designers and luxury business leaders. (Photo © Suhaimi Abdullah/Getty Images). 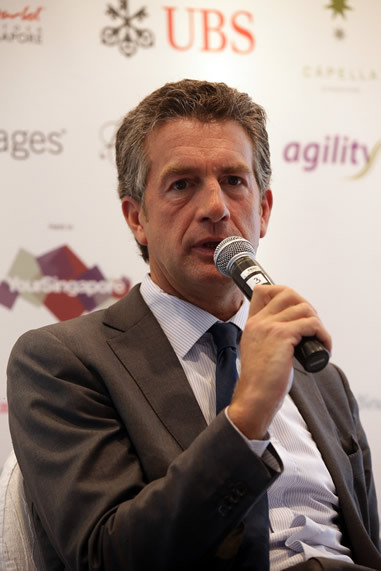 Photo: President, International, International New York Times, Stephen Dunbar-Johnson speaks at a press conference on November 20, 2013 in Singapore. The 13th annual International New York Times Luxury conference was a premier meeting point for the luxury industry. 500 delegates from 30 countries gathered in Singapore to hear from the world’s most inspirational fashion designers and luxury business leaders. (Photo © Suhaimi Abdullah/Getty Images). Photo: Guests arrive for a cocktail reception at the Caplla Hotel on November 20, 2013 in Singapore. The 13th annual International New York Times Luxury conference was a premier meeting point for the luxury industry. 500 delegates from 30 countries gathered in Singapore to hear from the world’s most inspirational fashion designers and luxury business leaders. (Photo © Nicky Loh/Getty Images). Photo: Delegates arrive at the Capella Hotel ahead of the conference on November 21, 2013 in Singapore. The 13th annual International New York Times Luxury conference was a premier meeting point for the luxury industry. 500 delegates from 30 countries gathered in Singapore to hear from the world’s most inspirational fashion designers and luxury business leaders. (Photo © Suhaimi Abdullah/Getty Images). 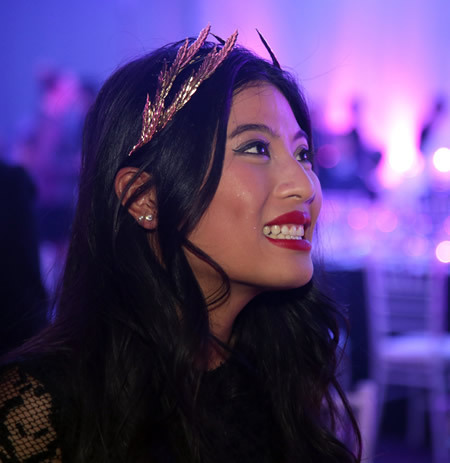 Photo: Princess Sirivannavari Nariratana of Thailand attends dinner at the Flower Dome on November 20, 2013 in Singapore. 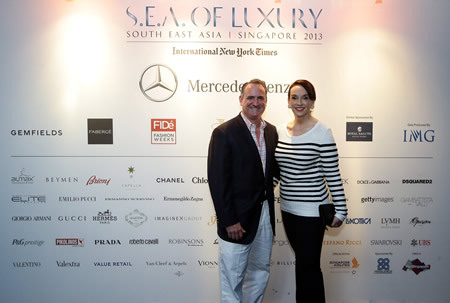 The 13th annual International New York Times Luxury conference was a premier meeting point for the luxury industry. 500 delegates from 30 countries gathered in Singapore to hear from the world’s most inspirational fashion designers and luxury business leaders. (Photo © Nicky Loh/Getty Images). 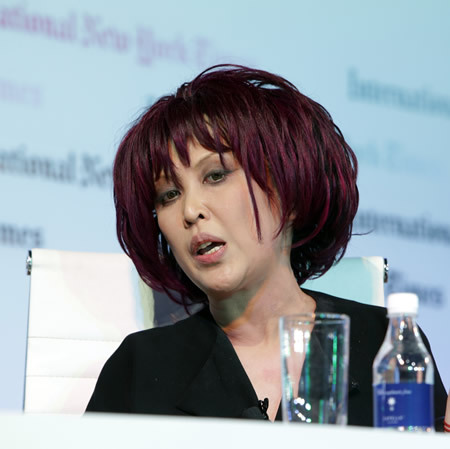 Photo: Pearl Lam, Founder, Pearl Lam Galleries speaks on stage at the International New York Times Luxury Conference on November 21, 2013 in Singapore. The 13th annual International New York Times Luxury conference was a premier meeting point for the luxury industry. 500 delegates from 30 countries gathered in Singapore to hear from the world’s most inspirational fashion designers and luxury business leaders. (Photo © Nicky Loh/Getty Images). Photo: Guests arrive at the International New York Times Luxury Conference gala on November 21, 2013 in Singapore. 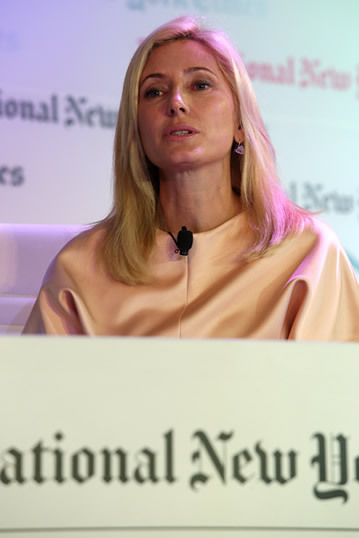 The 13th annual International New York Times Luxury conference was a premier meeting point for the luxury industry. 500 delegates from 30 countries gathered in Singapore to hear from the world’s most inspirational fashion designers and luxury business leaders. (Photo © Suhaimi Abdullah/Getty Images). Photo: Princess Marie-Chantal of Greece, Founder and Creative Director, Marie-Chantal; Board Director, DFS Holdings, in conversation with Suzy Menkes, International Fashion Editor at the International New York Times, on November 22, 2013 in Singapore. The 13th annual International New York Times Luxury conference was a premier meeting point for the luxury industry. 500 delegates from 30 countries gathered in Singapore to hear from the world’s most inspirational fashion designers and luxury business leaders. (Photo © Nicky Loh/Getty Images). Photos: (From Top) Paris, London. 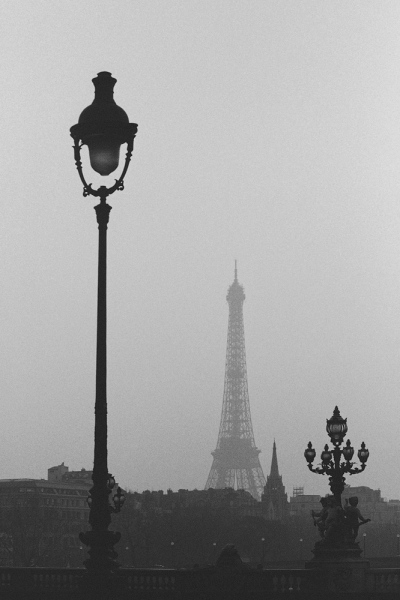 Paris has once again topped the annual QS Best Student Cities, a ranking of the world’s top cities for students, released today. London was two points behind, narrowly missing the top spot. The ranking, compiled by the team behind the annual QS World University Rankings, is based on five key pillars, which are then broken down into individual criteria: university rankings; student mix; quality of living; employer activity and affordability. Two pre-requisites have been established to identify the cities evaluated in this exercise. 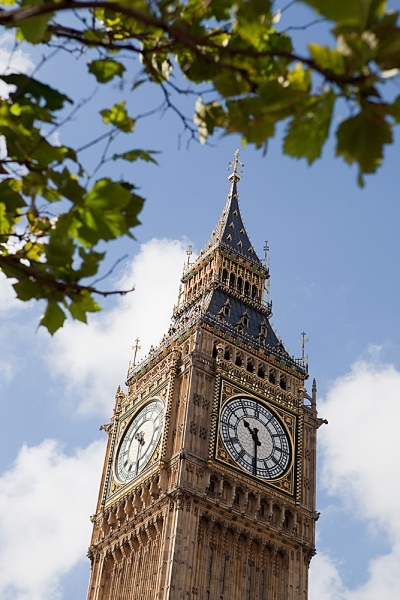 The first is that each city must have a population of over 250,000, the second that it must be home to at least two ranked institutions in the QS World University Rankings. 98 cities in the world qualify on this basis, 50 have been published. This year, the number of criteria has increased from 12 to 14, adding in the Globalization and World Cities Index as an indicator for “quality of living ” with a focus on the cities’ influence in the global arena. Thirty countries are represented with the most cities in the US (7), followed by Australia (6), Canada (3) and UK (3). The new countries represented in the top 50 are Norway, with Oslo (48), New Zealand, with Auckland (18) and Czech Republic with Prague (45). 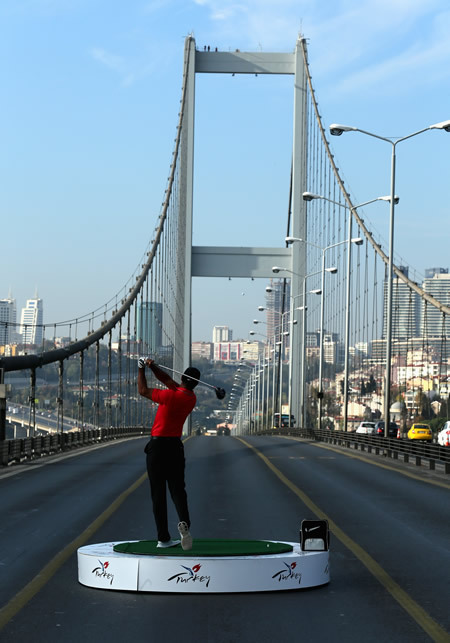 Photo: Tiger Woods of the USA, the World Number One, makes history as he hits the first golf shots from East to West on Istanbul’s iconic Bosphorous Bridge linking Asia and Europe on November 5, 2013 in Istanbul, Turkey. (Photo by Warren Little/Getty Images. © 2013 Getty Images). Photo: Tiger Woods of the United States, the World No. 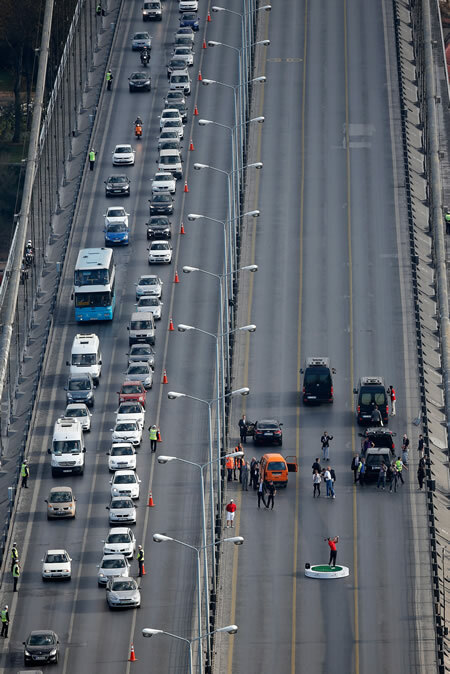 1, makes history as he hits the first golf shots from East to West on Istanbuls iconic Bosphorous Bridge linking Asia and Europe on November 5, 2013 in Istanbul, Turkey. (Photo by Dean Mouhtaropoulos/Getty Images. © 2013 Getty Images). Tiger Woods achieved another first in his long and illustrious career while in the Turkish city of Istanbul on Tuesday, becoming the first golfer to hit balls from east to west off the Bosphorus Bridge. Woods, one of the most recognizable athletes, struck several shots from the iconic structure that connects Europe and Asia in front of international and local media. The gravity-anchored suspension bridge, which is 3,524 feet long, was completed in 1973 after 16 years of planning and is located between the European neighborhood of Ortaköy and Asian shore of Beylerbeyi. It is perhaps the most distinguishable landmark in Istanbul, one of the world’s most vibrant and historically rich cities.